My daughter (age 3) tells me every day: “Daddy, I love you. I don’t love you as much as I love Mommy, but I still love you a lot”. Morris Rosenthal wrote a smirk-tastic article. Are you an over-smirker? Boomer & Echo says that the first time home buyer must choose between a HBP or TFSA. Canadian Capitalist warns that investing in magazine stock picks is a bad idea. Ever wonder if those public marriage proposals ever end in failure? This article has some examples. The last story is the funniest. Michael James discloses that the choice between TFSA or RRSP depends on your personality. The Oblivious Investor writes Vanguard spotlights simplicity. “Nice to see you posting again”, he said with a smirk. 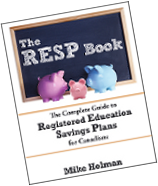 Previous post: Who Controls Withdrawals From RESP Account?